We love to work with those close to home, so when Church Minshull Aqueduct Marina and Caravan Park came knocking at the greensplash door, the team was delighted to find themselves immersed in a project that would work to benefit the local community and beyond. 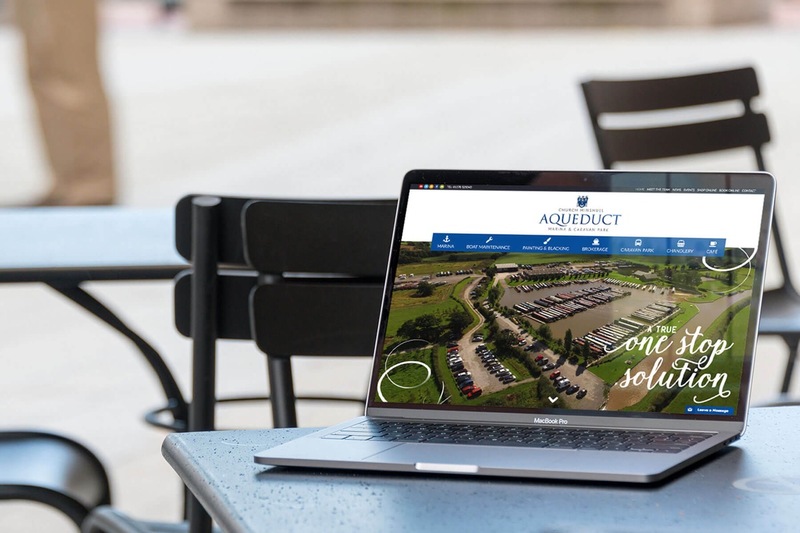 Following a period of substantial growth, the Aqueduct Marina recognised the need for a more contemporary and modern online presence that would meet the needs of its growing client base. Combining bold video animation, stunning imagery and a clear structure, the site was transformed to highlight their extensive services and showcase the area’s outstanding beauty. The additional integration of e-commerce capabilities provides customers with added functionality and enhanced user experience. 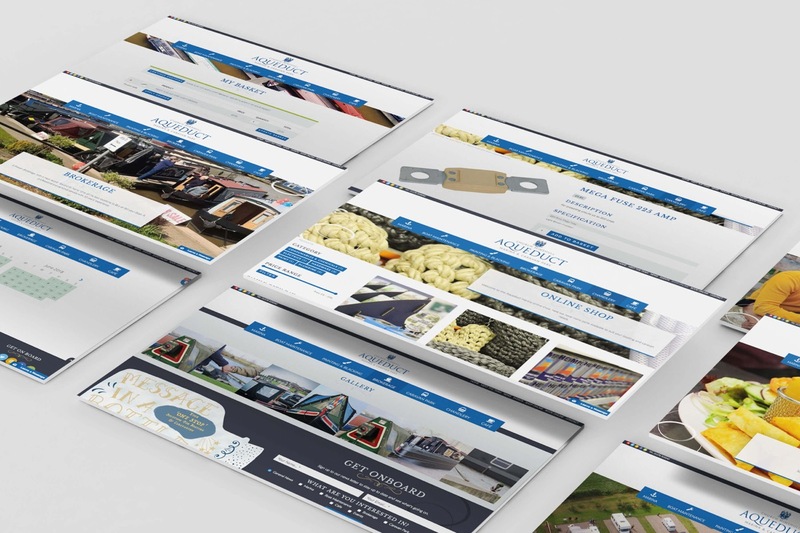 From consumables and chemicals, to electricals hardware, paint and plumbing, the online shop on the new site now caters to every boating need. 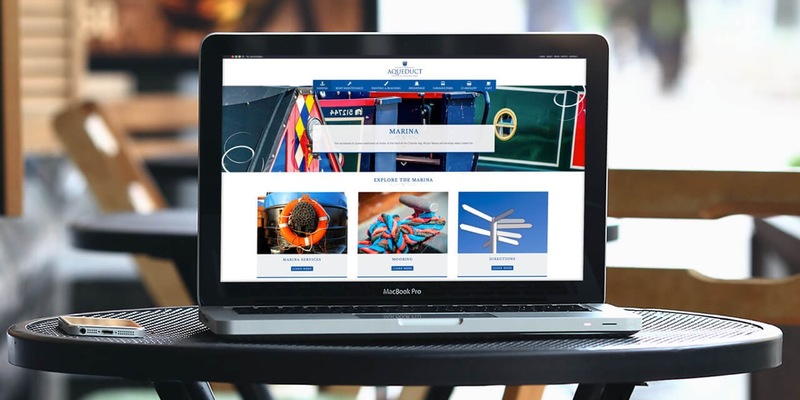 What’s more, to allow the client greater control and freedom over the website going forward, Church Minshull Aqueduct Marina now benefits from a bespoke, user-friendly content management system (CMS) to allow for easy and speedy amendments to crucial areas of the site. The result – A Contemporary Website with Modern Functionality, fully comprehensive and responsive website with transparent messaging, stunning visual imagery, e-commerce capabilities, CMS functionality and simple navigation. The Aqueduct Marina and Caravan Park in Church Minshull boasts a superior, stunning location in the heart of Cheshire. Providing discerning customers with moorings, caravan pitches, storage and DIY facilities, as well as a café, chandlery and brokerage, this beautiful site appeals to both the local community and those further afield. With its current website failing to meet the latest demands of customers, they looked to greensplash to better showcase the company’s extensive services, ambitions and aspirations. 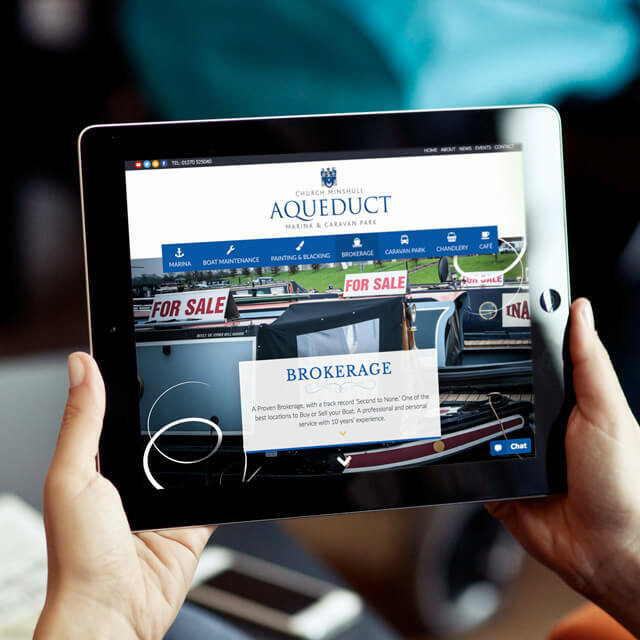 With an existing site that was somewhat outdated and a message that was no longer in line with the business goal to project the company as a national brand, the Aqueduct Marina required a website overhaul and a brand update. The team craved a fresher and more modern online presence, and a website that would project the personality of the business as well as its customer-centric approach and family-focus. Following lengthy brand consultations to better understand the direction of the business and its market segmentation, the greensplash design team created a unique, contemporary and fully responsive site that boosted user navigation. With an established brand already in place, our team updated existing guidelines and suggested an enhanced, fresh new colour palette to complement its current identity. With a professional and yet elegant blue tone that denoted approachability and friendliness, our design team worked towards appeasing a family-orientated market. Promoting site events, news and an online booking system on a secondary navigation menu, Church Minshull Aqueduct Marina could now provide a clearer picture of its offering with sharper calls to action. 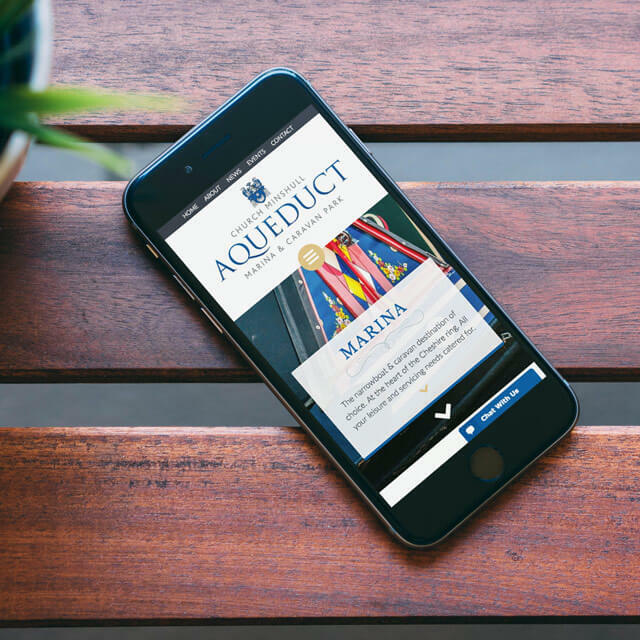 To discover more, please visit: http://www.aqueductmarina.co.uk.